Bridal wear display in a department store in Kingston, Surrey, 1982. © David Secombe. Everyone has a ghost story. My brother told me of a menacing boarding house he once stayed at whilst playing repertory theatre in the early 1970s: anomalous knockings in the middle of the night, dried blood splashes on the wall behind the bed, a general air of foreboding. The place was such a forbidding environment that my sister, staying the night after going to see a Saturday evening show, fled at 3 a.m., unable to take the threatening atmosphere. As she put it: ‘Something terrible happened in that house’. Street scene in pre-gentrification Battersea, 1982. © David Secombe. For her part, my other sister has her own story about haunted theatrical digs. She was staying in the modern wing of an old house, and her room was at the end of a long corridor that seemed to take an age to walk down. As the week wore on she had a feeling something was coming … in bed one night she heard a child’s voice calling her name in her ear. She later discovered that this boarding house had once suffered a fire in which a child had died. After that experience, my sister was troubled to hear that a little girl had been seen by visitors staying in her own house. 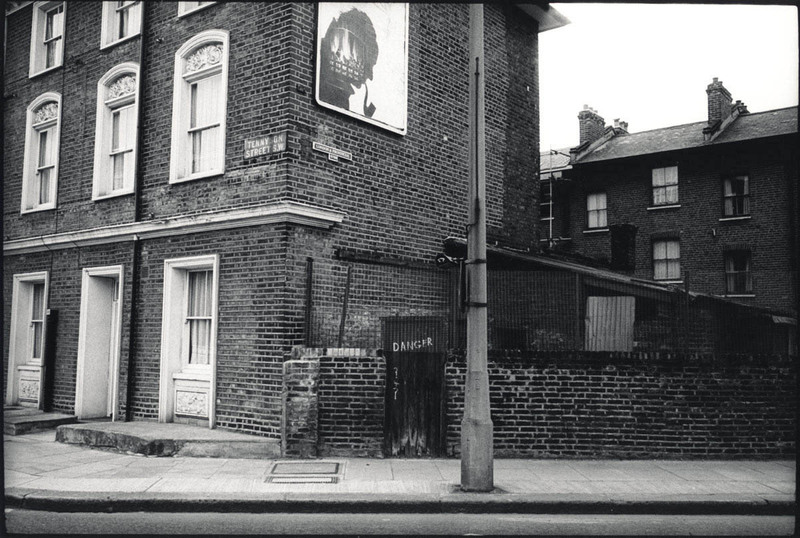 Hoarding in front of a building site, Camden Town, 1987. © David Secombe. Other family stories concern an old house my parents once owned, situated in a beautiful but secluded spot in the Surrey hills. On one occasion, my brother was staying there alone one night when he was awakened in the small hours by voices and laughter coming from downstairs. Following the sounds, he went and stood by the door to the drawing room; from beyond it he heard the unmistakable echo of a cocktail party in full swing. He opened the door, turned on the light and – of course – the room was empty. My girlfriend has a story about something she saw in a house in Brockley. Staying over after a party, she was sleeping on a sofa in the kitchen extension – where the original scullery might have been – and awoke to see a green figure standing in the room making an energetic motion which suggested ironing – but the motion was angry, desperate. 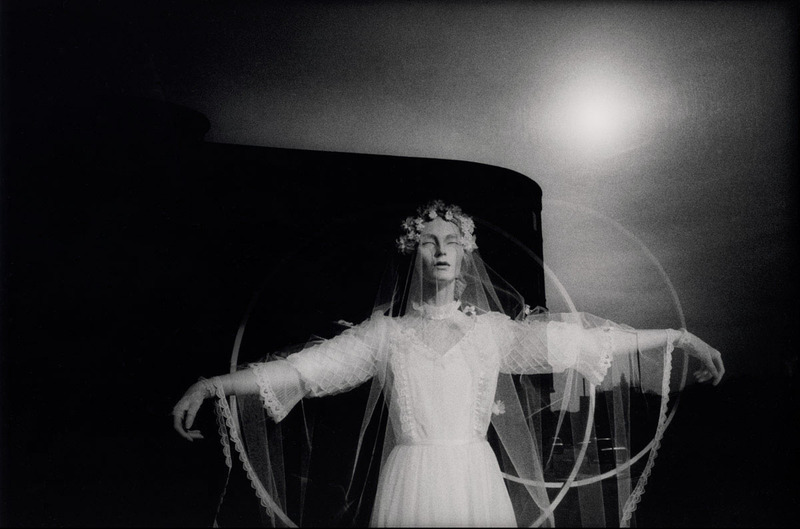 As she watched, the apparition grew larger and less defined until it dissolved in a jade haze. 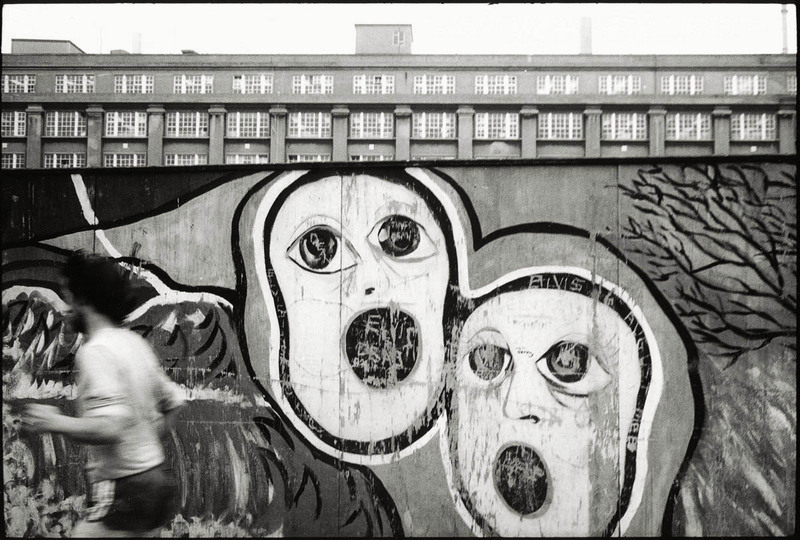 Public art on a hoarding opposite the National Theatre, South Bank, 1982. © David Secombe. I first heard this story when said girlfriend told it to me in my own house in Brockley, just around the corner from where she had once spent a disturbed night. My place in SE4 was on a street which was struck by a V1 cruise missile in August 1944: according to ‘Flying Bombs and Rockets’, the rocket destroyed 6 houses and damaged a further 45 on Endwell Road, leaving my house as the end of a terrace. My girlfriend, my sister, my daughter and at least one other visitor independently identified a spot at the bottom of the staircase (a floor below street level) as, variously, ‘sad’, ‘eerie’, and ‘sinister’. In addition, they all reported the same sensation: as they headed up the stairs they felt that something was trying to catch hold of their foot. Nine people died in the V1 hit on Endwell Road; I never found out whether anyone was killed in my old house – but, for whatever it’s worth, my sister said that her impression of my basement was that there was someone trapped in it. Slide, children’s playground, Rotherhithe, 1988. © David Secombe. 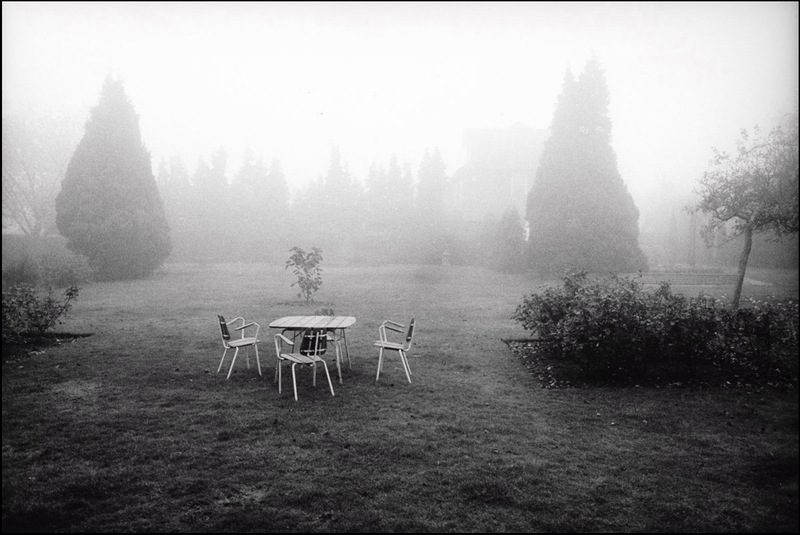 Suburban garden in November, Cheam, Surrey, 1979. © David Secombe. Needless to say, I have never had any supernatural experiences of my own. None. My existence has been so relentlessly quotidian that I would welcome an encounter with the uncanny. I have stayed in many houses that were said to be haunted and never sensed the presence of ‘the further realm’. Stanley Kubrick observed, when discussing The Shining, that all ghost stories are ultimately optimistic as they suggest the survival of the human personality. So laughter in a distant room, a inexplicably rattling doorknob, a child’s ball that bounces on its own, a voice in your ear in an empty chamber, may all be seen as comforting: they reassure us that the day-to-day is not all there is. 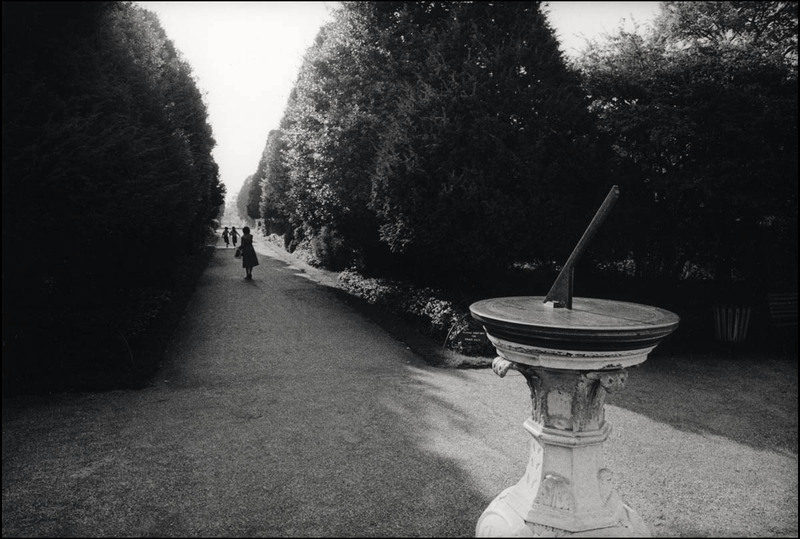 Sundial, Hampton Court Palace, 1979. © David Secombe. I was trying to think what images I could use to illustrate this piece and ended up digging out a selection taken in various locations around London in the late 1970as or early ’80s. 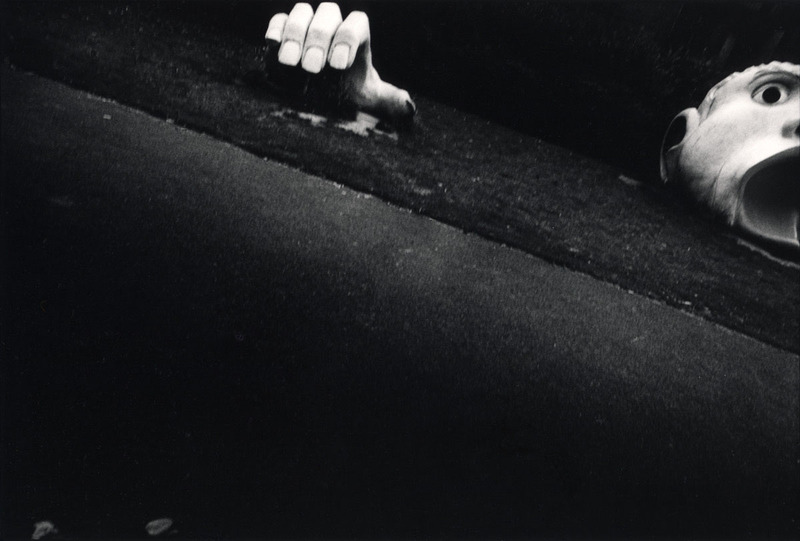 Photography is a form of magic that we somehow take for granted: it fixes time and can resurrect the dead. These pictures of mine also present me with my younger self: an under-employed 20-something loitering on suburban streets, Leica in hand, hoping to find something worth photographing. Sometimes I’d get lucky but more often than not, not. 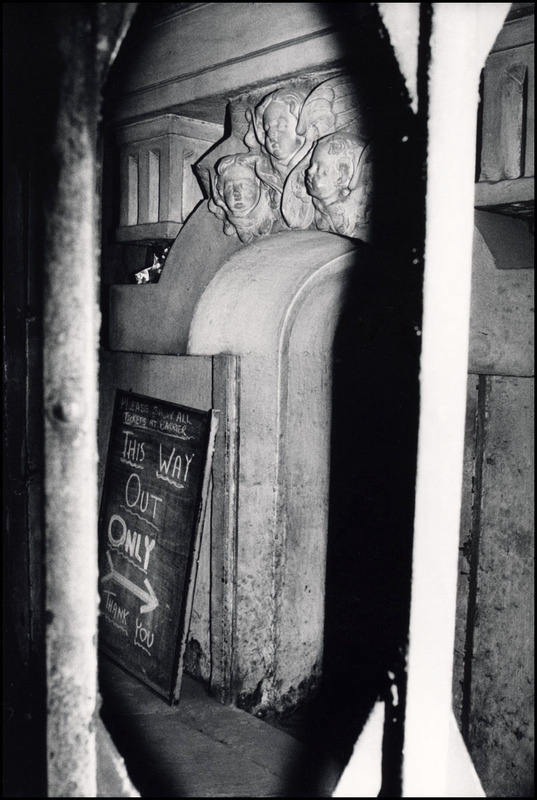 Entrance to Bank underground station showing an entrance to of the crypt of Hawksmoor’s St. Mary Woolnoth, 1989. © David Secombe. If I am haunted by anything it’s by my own photographs. I’m not just talking about the good ones, or the ones where I was consciously trying to capture atmosphere; all of them are fragments of a past life, people and places lost to me. (For example, the misty garden in the picture above no longer exists; nor, to my dismay, does the fir planting seen in the Hampton Court photo.) 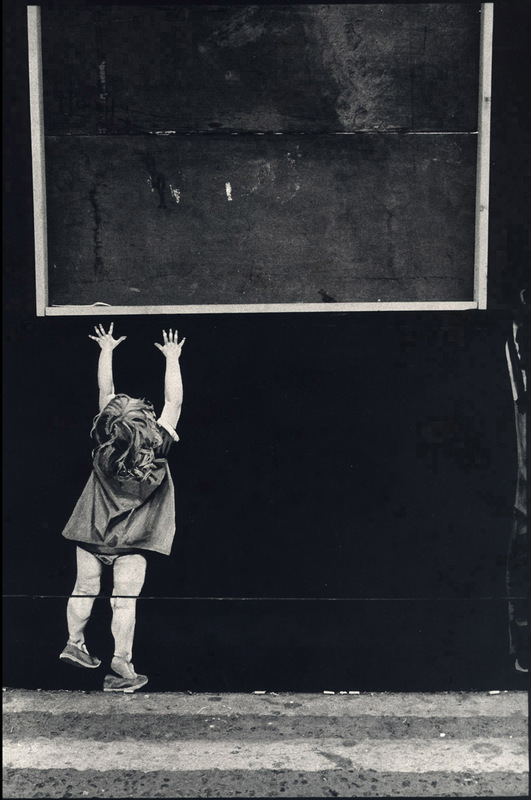 Cartier-Bresson said that if he tried to calculate the time his shutter had clicked over the decades, all those 60ths and 500ths of a second, it would probably only add up to a few minutes. Photography can take over your life but what are you really left with? Just a few moments. The upside is that those moments give your life back to you, not always accurately, but in ways that allow us to recreate the past in a way that suits us. Photographs let us become our own ghosts. D.S. This week, our friend and sometime contributor Andrew Martin is presenting a series of ghost-themed essays on Radio 3. They may be heard here.